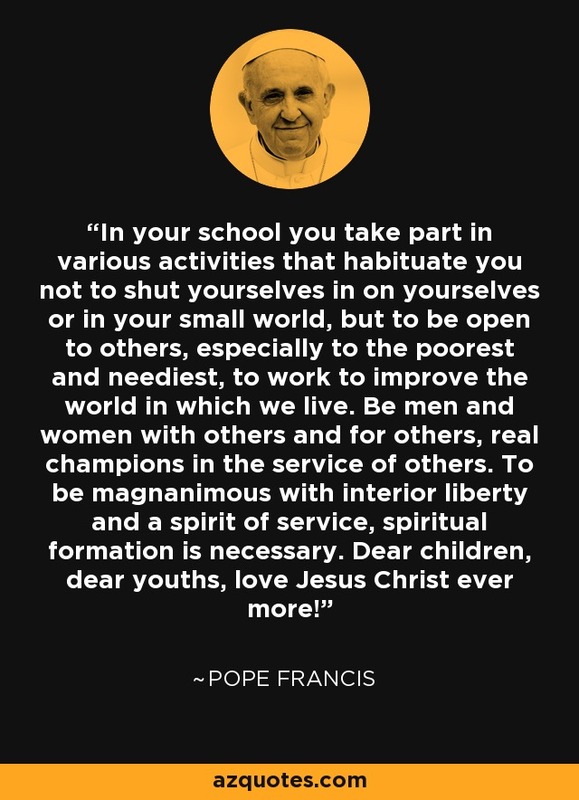 In your school you take part in various activities that habituate you not to shut yourselves in on yourselves or in your small world, but to be open to others, especially to the poorest and neediest, to work to improve the world in which we live. Be men and women with others and for others, real champions in the service of others. To be magnanimous with interior liberty and a spirit of service, spiritual formation is necessary. Dear children, dear youths, love Jesus Christ ever more! Pope Francis during meeting with Students of Jesuit Schools, zenit.org. June 7, 2013.